if the top left corner of the screen is loose and you can lift the screen up this is where your problem is. the fix is easy but delicate so i'll run through everything you need to do. firstly if you've done the ear proximity test and as soon as it starts it's vibrating, that's the first sign this fix will work. what you do next is hold the phone upright with your thumb and forefinger in the top left corner applying light pressure, try dialing a number now to see if the screen goes black. if it doesn't and everything works, you'll now need to glue the screen in position. turn off the phone and using ordinary glue, not superglue, get a watch makers screwdriver and dip it in the glue to just cover the end. lift the corner of the screen with your nail, and lightly apply the glue to the underside of the screen with the screwdriver. once all the exposed edge has a covering of glue, lightly hold the screen in the same place as when you tested it, do not press too hard as your trying to keep the glass straight. hold for a few minutes for the glue to take and don't use for maybe an hour or two so that it sets.if your nervous about doing the glueing, you can do a temporary fix by heating the corner with a hair dryer and holding the corner in place till the phone cools down to check that it works right. two reasons why this is happening, sony made an update for the phone that increased the sensativity to the ear proximity sensor which is why the fault seems to appear after the update, and the other reason is that we as users, press too hard on the screen and weaken the glue line on the edge because we're pressing the centre of the sceen too deep. if you check the ear proximity sensor when the fix is done, you'll find that the buzzing doesn't start straight away, but now only buzzes when placed on a flat surface. black screen problem now fixed. hope this helps a few of you out there. This isn't a solution for me. The screen isn't loose anywhere. That means that the LCD is unglued at the top of the device. Try pressing with your finger on the logo of the mobile phone. I hope I helped. Same problem here. Phone has been okay for a year but now, as soon as I hit call the screen goes black. No way I can use number pad during, cannot end a call etc. Where is the Marshmallow softwate update? I have been waiting a long time and now is already March 28, 206! Mine has just started doing this. I find that once a call is in progress I can press the volume up/down keys to get the screen to display. wel ldone chap your tip worked a treat on my Z5 premium. I had also same problem but removed screen prote tor glass and became normal. This might help a lot. It worked for me. 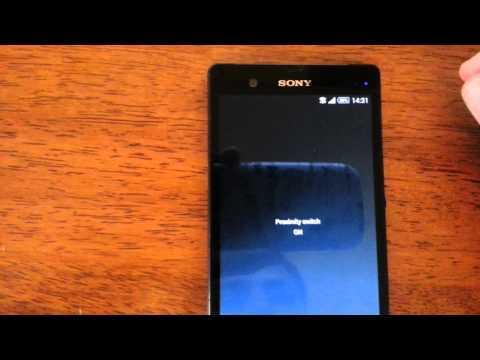 Proximity switch problem in Xperia Z and solution. Uploaded by alvangee on 2015-06-21.